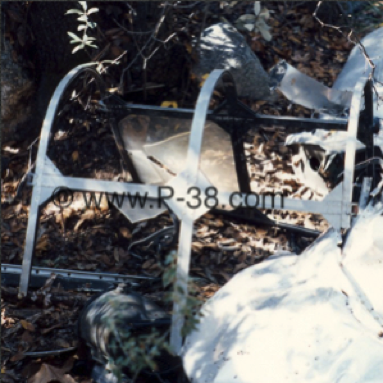 After visiting this crash site multiple times, I struggle to see how the plane flew into a canyon in the Catalina Mountains without either occupant having any visibility. 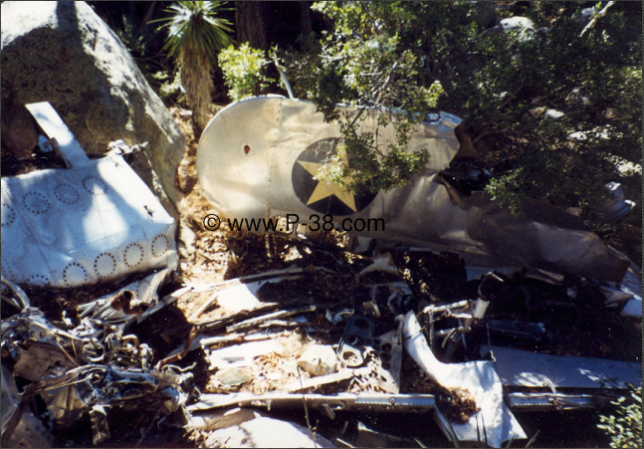 My thought is that the plane was flying through the canyon, lost air speed, struck a tree, and eventually crashed. 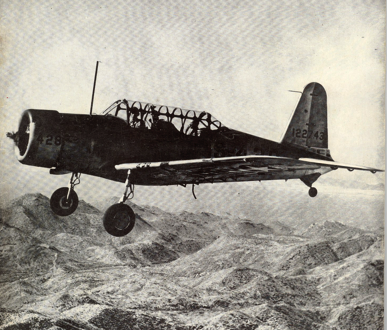 Marana Army Air Field BT-13 in flight over Arizona. Vultee rudder pedal and cockpit instruments, photo taken in the 1990's. 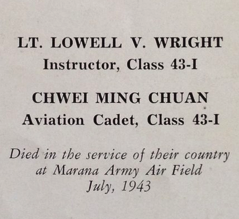 Instructor Wright is on the left. 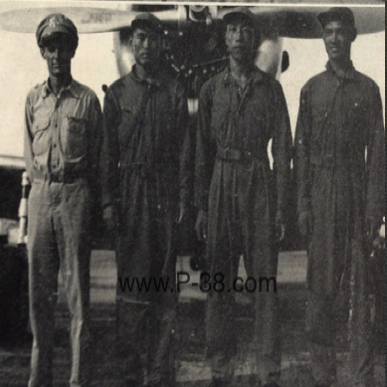 I think Ming Chuan Chwei is second from the left. 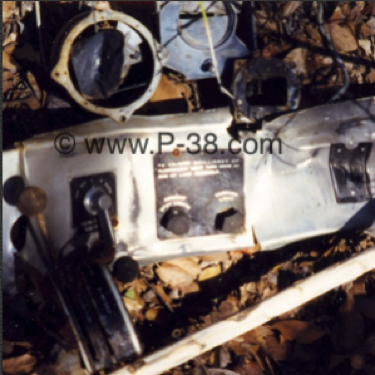 Cockpit controls, photo taken in early 1990's. Canopy from and glass, photo taken in early 1990's. 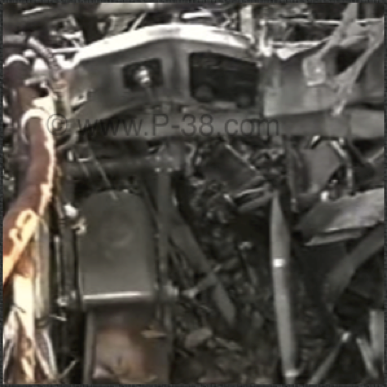 Early 2000 photo of wing after a fire and flood. 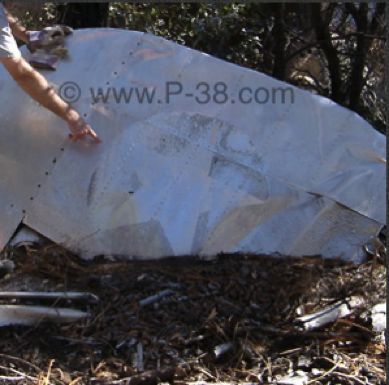 Early 2010 photo of wing with insignia totally gone, light missing, partially buried with a tree resting on it. Here's a podcast I did on the crash. Fall 2016, looks like the wing is slowly disappearing into the forest. 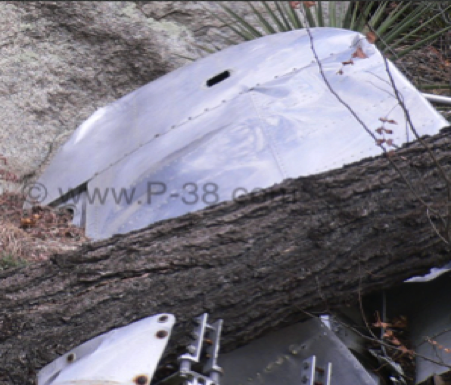 www.P-38.com was my old website, thus the "P-38.com" watermarks.